Bentley’s first-ever diesel, tested over a prolonged period. Does it feel special enough to justify its existence? Bentley creates its first-ever diesel model by transplanting the running gear of the monster Audi SQ7 into its hyper-luxury SUV, the Bentayga. The resulting Bentayga Diesel therefore becomes both the least expensive way into Bentley SUV ownership and also the version with the best fuel range on a tank, but does it feel special enough to ameliorate its gigantic price tag? The reason the Bentayga needs four stars for this segment, though, is the result of the cabin redressing the aesthetic balance. If the exterior is three-out-of-five, you just can't fault the interior. Well... in truth, there are some teensy, tiny niggles. Like the inexplicable use of Audi A3 column stalks, when the old Continental GT had big, round items with a knurled metal finish; why did Bentley not just port those over to its brand-new SUV? Or the fact the boot is a modest 430 litres, even if it looks cavernous when the electrically-operated tailgate swings upwards. Or the one or two plastics - in hard to spot places like right at the base of the gear lever, forming a blanking plate inside the shift gate - which are not really any different to those you'd find in a mid-ranking Volkswagen. Nevertheless, we're looking for problems here when there really aren't any. Everything else about the Bentley's cabin is exquisite. It has a thoroughly modern, up-to-date infotainment system, with great graphics and intuitive operation. It has all the quilted leather and proper walnut wood trim that you'd expect of vehicles from the very highest echelon of the motor industry. It has a general stench of wealth and luxuriousness that makes sitting on board a truly privileged and invigorating experience. Honestly, you'll stay in boutique, five-star hotels that are less well-appointed than the Bentayga's passenger compartment; it's an absolute stunner. Final quick note here - spotting a Bentayga Diesel is a tough ask, but the giveaways are a 'V8 Diesel' logo positioned low down on the front doors, a black mesh grille with a chrome surround in the Bentley's nose and those distinctive 'twin-quad' finishers for the exhaust pipes. Of course, these things can chop and change as owners get busy with various personalisation options and aesthetic packs, so it might well be that you can't distinguish a V8 diesel from a W12 6.0 if you happened upon a well-specified Bentayga on the street. Our prior experience of the world's most opulent SUV (we've not driven the new Rolls-Royce Cullinan yet) has previously only come in the 6.0-litre W12, which remains an engine that isn't used anywhere else in the Volkswagen Group - so, thus equipped, the Bentayga feels like a vehicle that truly is a class apart from its rivals. However, as we've already said, the Bentayga Diesel is, to all intents and purposes, the SQ7 wearing a very nicely tailored suit. Now, don't misconstrue us; the engineering that has gone into making a 2.4-tonne behemoth like the Bentley handle and ride with such grace and élan deserves only the highest commendation. The Diesel's air springs and its 48-volt powered anti-roll system work brilliantly in tandem to provide the best of all worlds - throw the big Bentley around and you'll be stunned by its phenomenal body control, its super-accurate and communicative steering and the sheer mammoth amount of grip on offer. Alternatively, laze back in it and surf the goliath 900Nm of midrange torque, and the Bentayga - stuffed as it is with all the sound-deadening under the sun and extra-thick double-glazed windows - will just glide effortlessly along, the air suspension soaking up the very worst the roads can throw at it with consummate ease and the whole car belying the fact it is rolling on colossal 22-inch wheels. It's a great drivetrain too, Bentley's four-wheel-drive system being a particularly sporty application of all-corners traction, while that 4.0-litre diesel V8 is nearly every inch as gobsmacking here as it is in the Audi. It bestows monster pace on the Bentayga throughout the rev range and it remains velvet smooth from idle to redline, while the silken eight-speed automatic is never once lost for an answer to all manner of wild throttle inputs from the driver. There are very few situations in which you will find the Bentley lacking for startling accelerative shove, that's for sure. And yet... and yet. One obvious thing the Bentley is missing is the SQ7's tremendous soundtrack. Synthetically augmented or not, the Audi application of this V8 diesel has a scandalously good voice, but Bentley has stuck to its principles and gone for unparalleled acoustic refinement. This is fine and understandable; however, it robs the Bentayga Diesel of much of the character that this powerplant possesses. Also, if you pushed us, we'd say the Audi was also the more rewarding steer, with more impressive handling than even the Bentley can summon up. So, the overriding impression you take away from driving the first-ever diesel from this marque is that you'd rather either have the Audi and save a shedload of cash, or - if you're a dyed-in-the-wool Bentley owner and you would simply never stoop as low as a mere common or garden Audi - you'd just go all-in and bag the 6.0-litre W12 model. It's not that much more money and it has that extra sparkle of prestige to everything it does that such epic purchase prices really do demand. The Bentayga Diesel... it just seems to be missing an undefinable 'something' to make it stand out as a real gem. The idea of the Bentley Bentayga Diesel is fine in principle - which is, to provide a version of the top-end SUV that can go up to 1,000km on a single tank, making it a better long-distance cruiser than the W12 model. And the execution of dropping the 4.0-litre V8, with its two conventional turbos and the third, electrically-powered compressor, into the Bentley's imposing nose is first-class. We've got little complaints with the lustrous polish that Bentley has given its black-pump SUV. 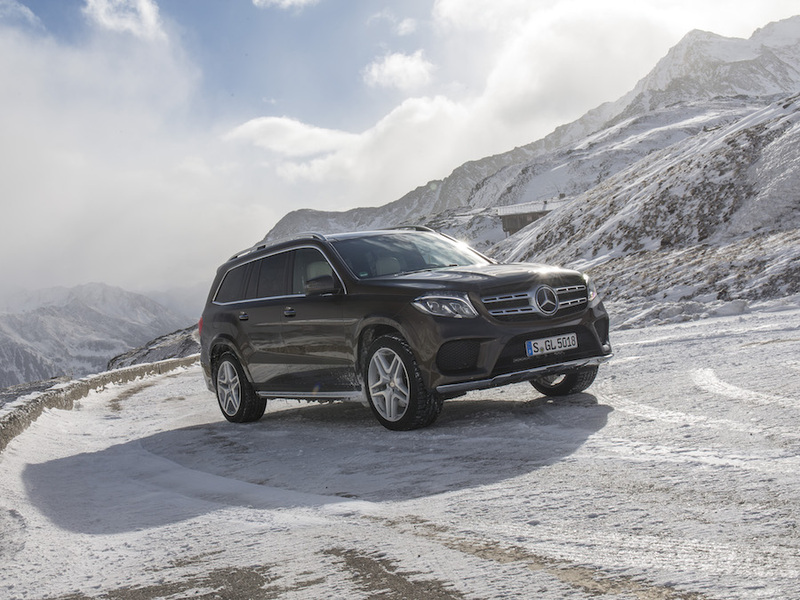 However, for all its undoubted brilliance, we come away from our drive in the Bentayga Diesel feeling a little cold. It's still challenging to look at, it still costs a small fortune, it's still not the most practical of machines and we do not believe there's a huge subset of Bentley owners who are going to take their derv-drinking luxury motors on 1,000-kilometre cross-continental cruises on a regular enough basis to make it the obvious choice for such customers, over and above the W12. Indeed, in global markets where the Bentayga is strongest - the States, the Middle East, Russia, China - then the Diesel will hardly get a look-in compared to its petrol stablemates. Therefore, even in the face of undoubted all-round brilliance displayed by the Bentayga Diesel, our ultimate summation is this: save yourself a pile of cash and buy an SQ7 instead. 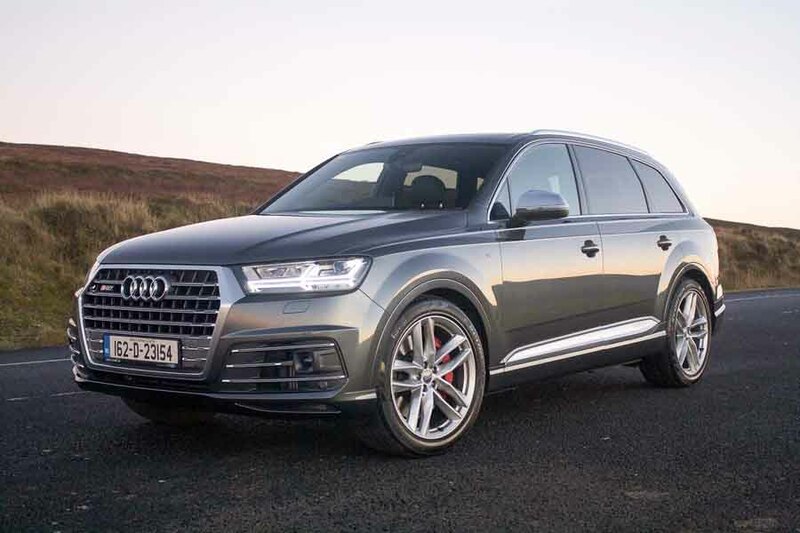 Audi SQ7 vs. Bentley Bentayga Diesel: it might seem odd to list the Audi, but the inescapable fact is that the Bentayga Diesel shares its underpinnings with the much cheaper, seven-seat Audi. Mercedes-Benz GLS vs. Bentley Bentayga Diesel: improved by the addition of an 'S' to its model badge during a midlife facelift, but the GLS is showing its age now and it doesn't feel like a class act, as the Bentayga does. 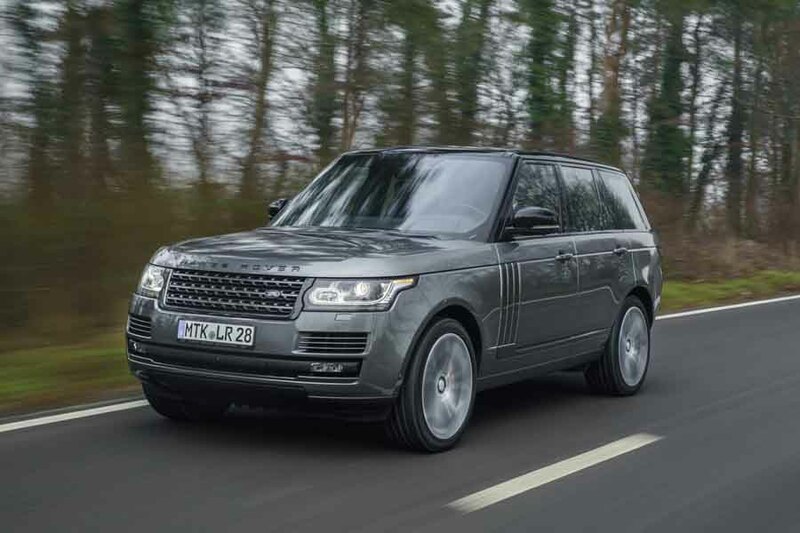 Range Rover vs. Bentley Bentayga Diesel: while we'd have a petrol Bentayga over its equivalent RR, we reckon an SDV8 Rangie would be a more prudent bet than the diesel Bentley.